Horst recently conducted an interview with David Bernhardt, P.E., President of Providence Engineering, a structural engineering firm with six locations in PA.
Providence has been working with Horst Construction since 1992—beginning with Horst’s corporate headquarters, followed by two major performing arts projects, American Music Theatre and Sight & Sound Theatres. 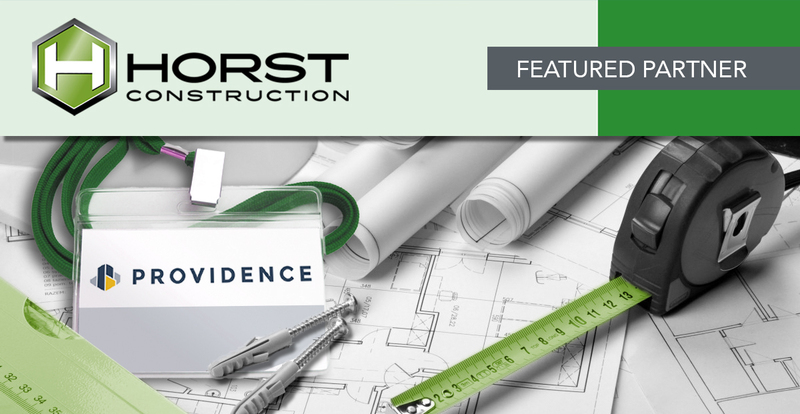 Horst has also partnered with Providence for several Lancaster Bible College projects, numerous church projects, auto dealerships, work with West Pharmaceuticals, and many other projects over the years. David has been a partner at Providence for almost nine years. Since then, the energy of Providence Engineering has continued to increase which has contributed to the growth of the firm. “We now have 6 offices and an additional owner, as the result of a recent acquisition. All of this has contributed to recently launching the firm’s new brand and positioning as Providence,” David explains. Providence’s recent projects of note: Designing an 80-foot tall Amazon Echo billboard in Times Square, New York City and a 170,000 sf cooler expansion for a food manufacturing facility in Dallas, TX.